That Cleo looks fabulous in Opie's outfit! 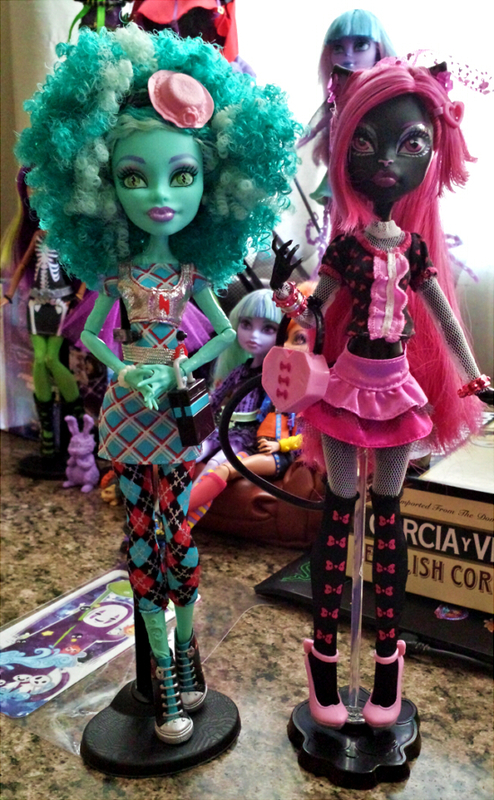 Briar and Venus are totally each other Bizarro Twin from another universe... she looks fantastic! 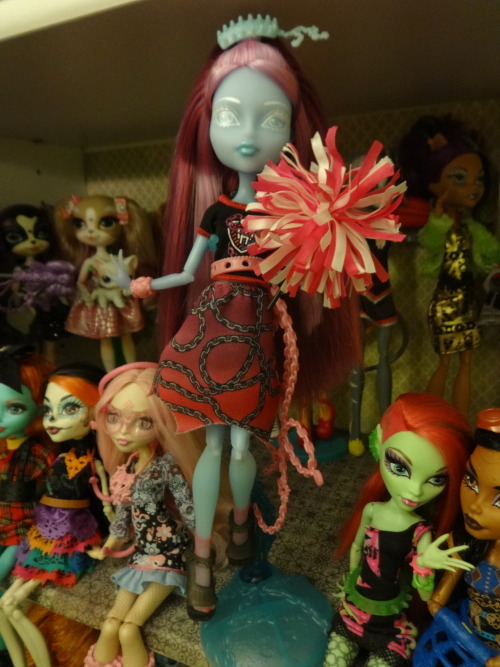 I have Spectra in Catrine's gloom and bloom outfit. 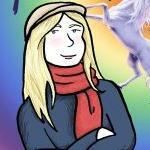 Not new to anyone following my blog. 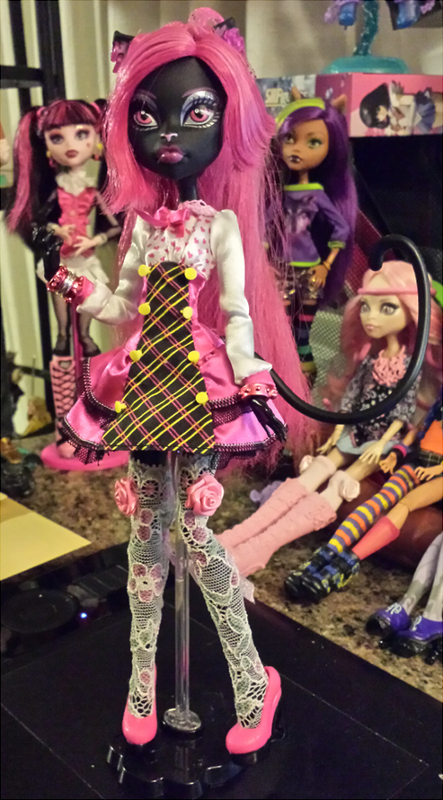 I really like redressing my dolls. 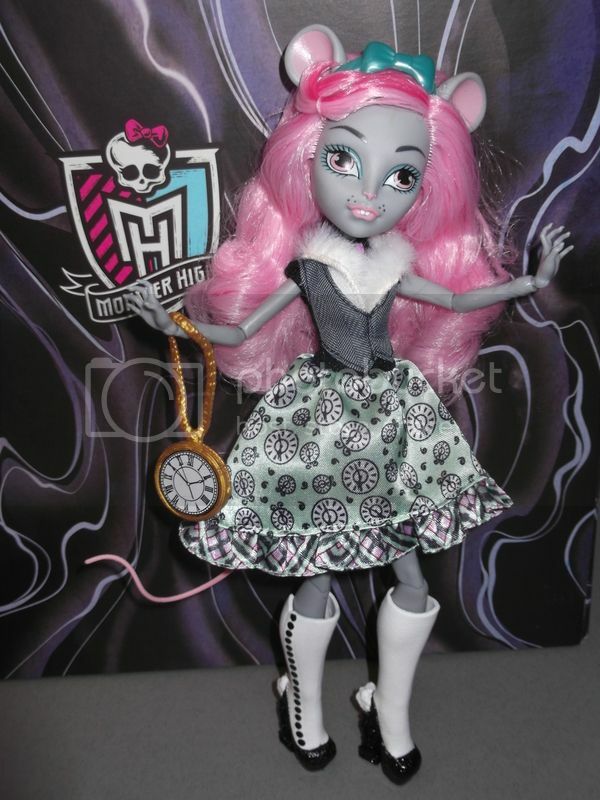 Bonita looks really good with Ghoulia's stock! and OH MY! 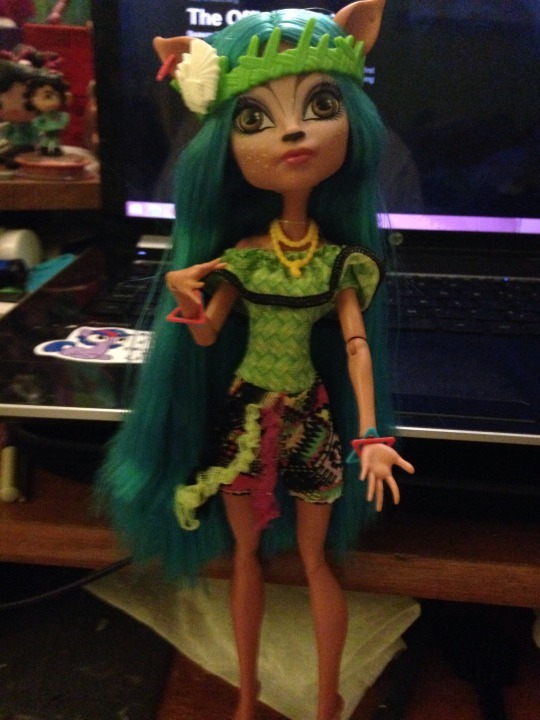 Spectra looks amazing in Catrine's outfit! it's like it has been made for her! Haha, I always have to take down my ghoul's hair when I get them. I think the only exception has been Kiyomi and Sweet Screams Frankie. Bonita and Wydowna had their foamies clipped out long ago. It also looks good all the way down, but treating her streaks like bangs always works out well for me. I was inspired by Firecracker's Rochelle that I made my own. Mine doesn't look exactly the same because of more pink in her hair and the headband. I showed Firecracker and he was honored that I was inspired. 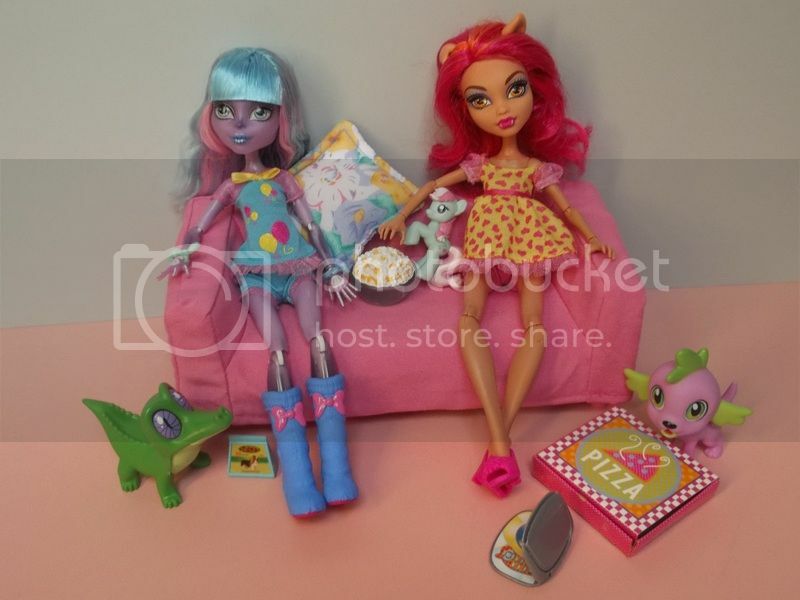 Both my girl now named Miette and his are wearing the sig accessories and the GNO shoes with Sig Cupid's dress. My Rochelle had been a dust collector and couldn't really bond with her because of her neon lips. 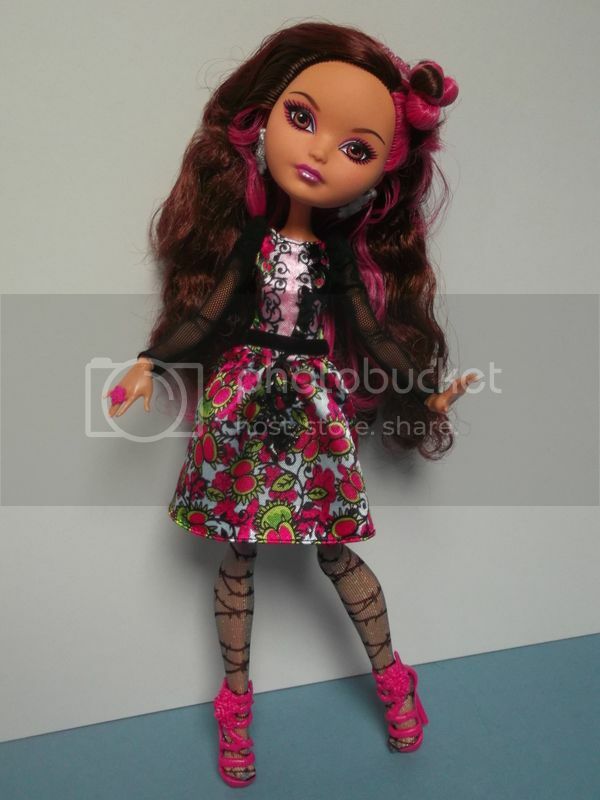 I prefer the outfit on Clawdeen with the hood down, but still feel it doesn't quite work. 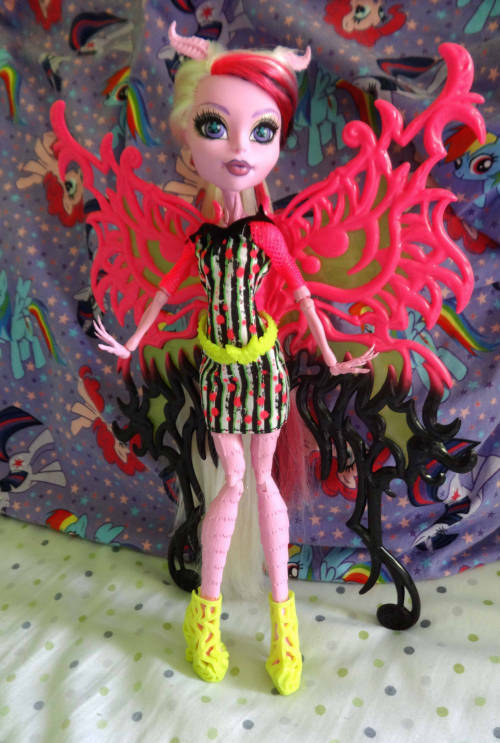 Adoring Honey's dress on Spectra! unfortunately honey's hat piece doesn't really match because at the time i was too scared to try and remove it, i've since learned that yes, you can remove it without ruining her beautiful hair, so all is well. i had her in the default stockings originally but they don't fit quite right and she wouldn't stand on her saddle stand! 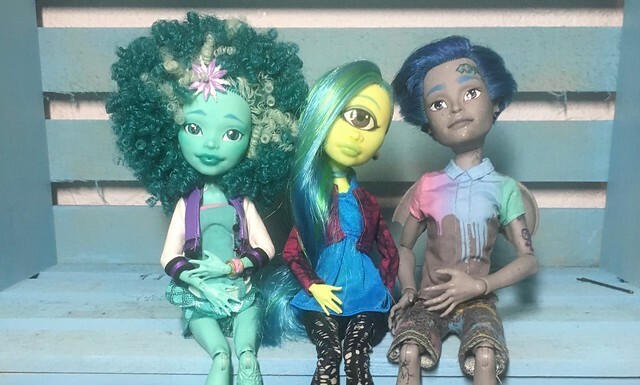 so i used these instead, which i LOVE the look of even if they are too baggy for monster high; its not very noticeable in person. i love this look, but need stockings that fit better. i can't even really name where everything is from, the shrug is from abbey picture day, i think? the dress is a ghoulia dress, and the day at the maul stockings return. they don't really match and i'm hoping to get plain black stocking alternative or fishnet cuz i really love this look on her. 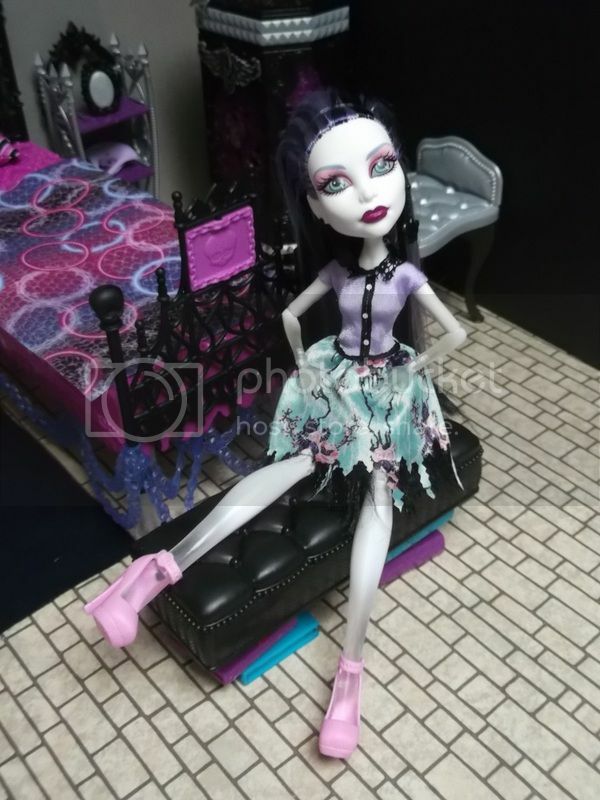 this is kind of cheating since its just other clawdeen fashions, but i just love how ridiculous it is with the stockings even though they don't really fit the rest of the outfit. the stockings have a different purpose down the line (and are not actually official mh), but for now they are making a nice outfit into something ridiculous (i love it). 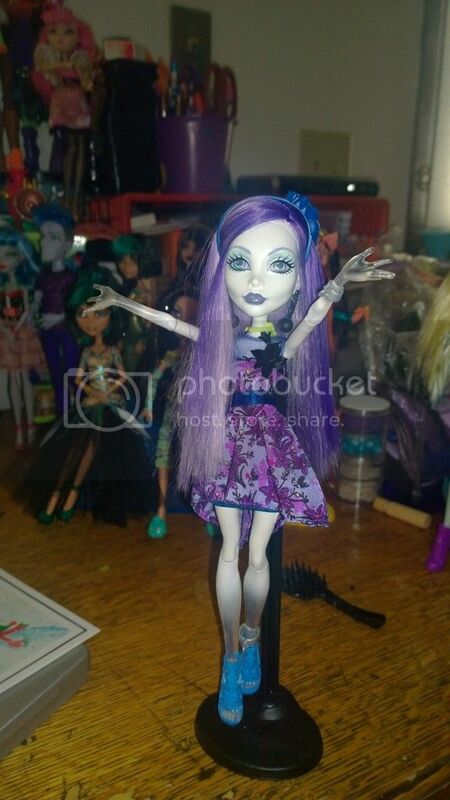 lagoona dress! i love how it looks on her with and without the shrug (which i can't remember is from), and its even better now that i was brave enough to snip her default necklace so it can be removed. so yeah, once again sorry for not the best picture quality, my place has hideously awful lighting even during the day. also, does anyone know of any good swim suit or bikini designs for vipirine? her body sculpt is so gorgeous and i really want to be able to show it off more, and would feel bad just having her naked HAHA. Holy wow Briar looks STUNNING! Okay, but this is the most precious thing ever. I love it! The skirt is handmade, but the rest is various MH stock pieces. Oh, and the earrings are handmade. Not by me, though I don't remember the user who I got them from now. 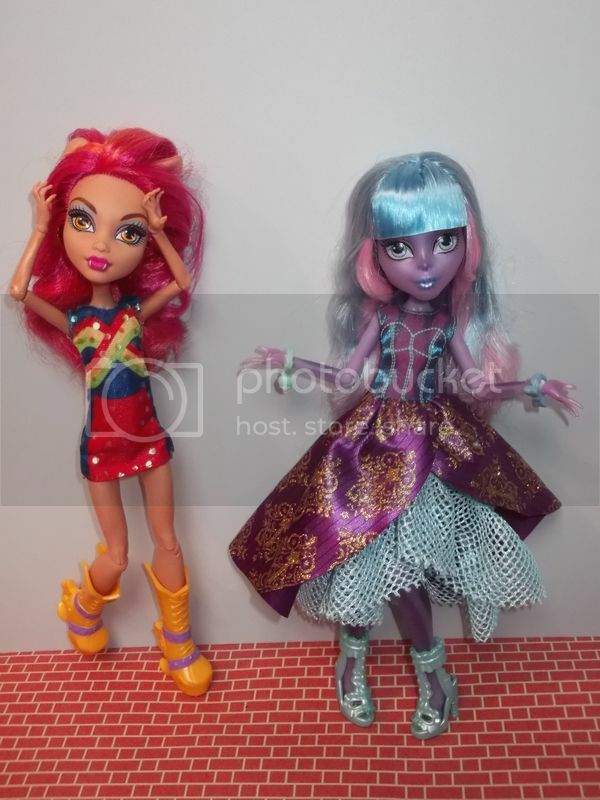 I don't like the quality of the EQG dolls, but if you can pick them up on clearance, their outfits are always great for dolls with the little sister body size. Isi looks very islander in Batsy's wear.